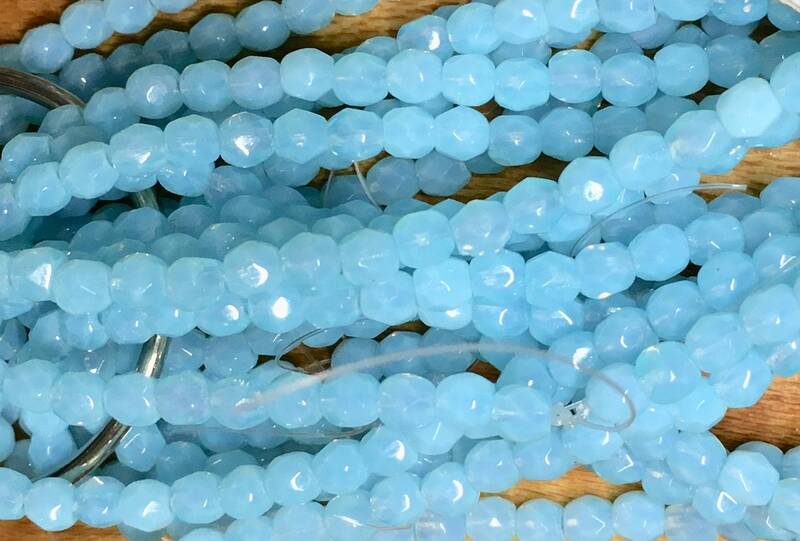 One strand of 50 light aqua blue opaque or baby blue Czech firepolish crystal beads measuring 4mm. Add some sparkle to your jewelry creations! I need to get my mms straight.....smaller than I expected...but I made a beautiful dragonfly necklace out of them.